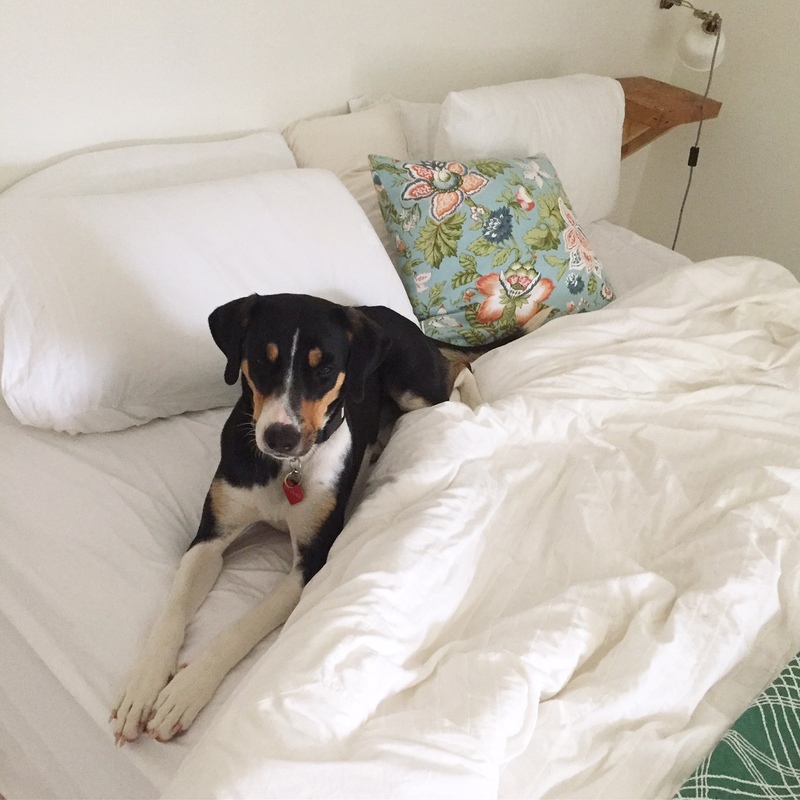 With my recently adopted dog, Billie Jean, who I adopted from Save Our Scruff, much of my life now revolves around whether she can be included in my plans. In fact, she’s part of the inspiration behind the road trip series I’m doing this summer. 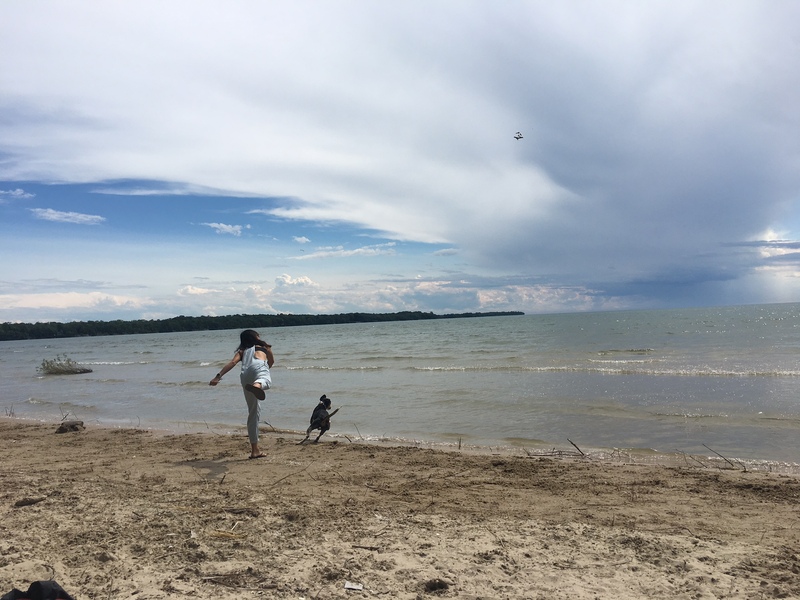 For my second visit this summer to Prince Edward County, I went with one of my girlfriends (like the last visit in early June) but this time, I planned a dog-friendly trip so both my girl Billie Jean and my bestie’s adorable silky terrier, Bun, could join, too. 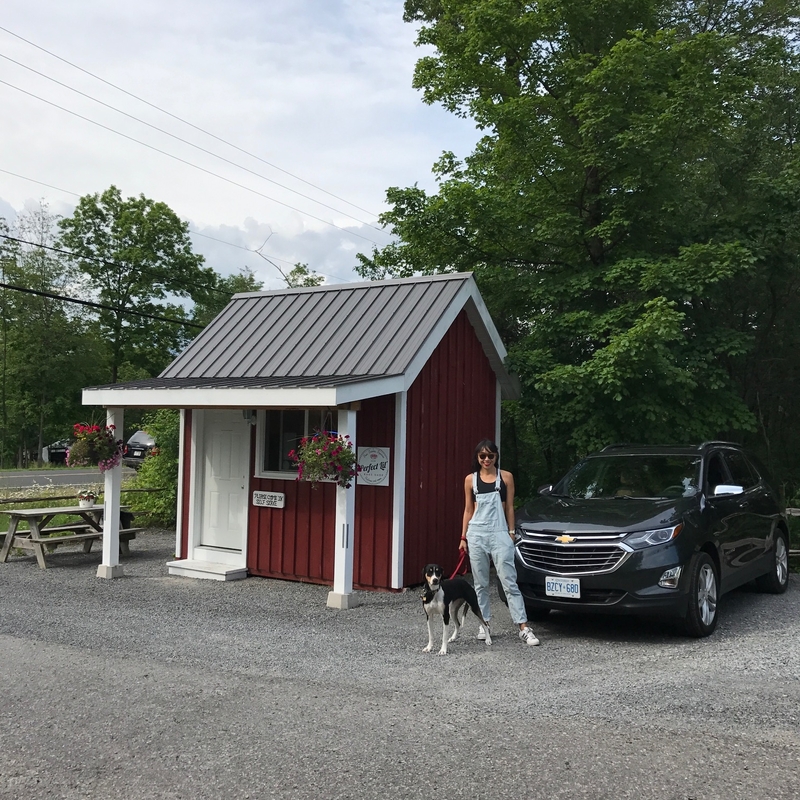 The County is, yes, a little bit country, but it’s also more than a little posh with its wineries and great food, and with two girls and two dogs, thanks to General Motors Canada, I got the Chevy Equinox to test drive for this trip and it was the perfect vehicle for us. 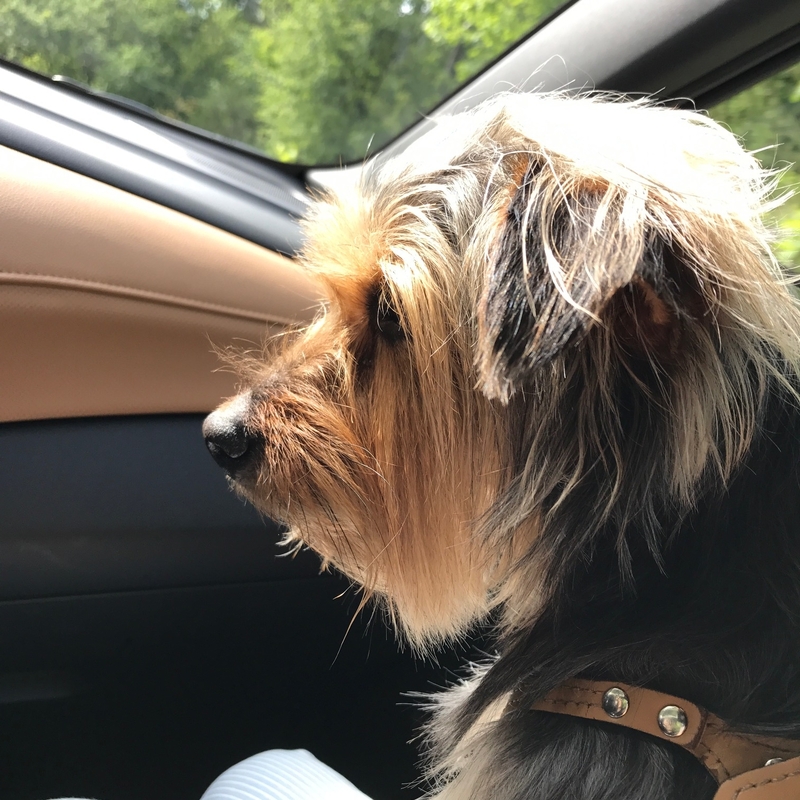 Roomy (for road trips, I often lean towards overpacking, plus Billie Jean doesn’t travel very light as there’s her crate, giant bag of food, toys, and more). Also, the Equinox is, in my opinion, both practical for my lifestyle but also quite refined — just like me (I’m the picture of refinement, no?!)! I love, love, love its luxurious interior — they had me with these leather seats. 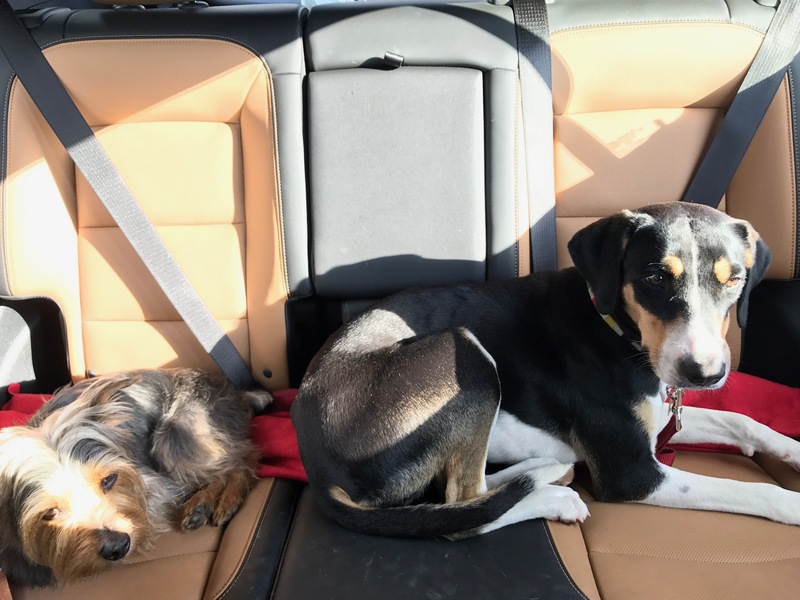 And as you can see, both Billie Jean and Bun got very comfortable and relaxed in the car. 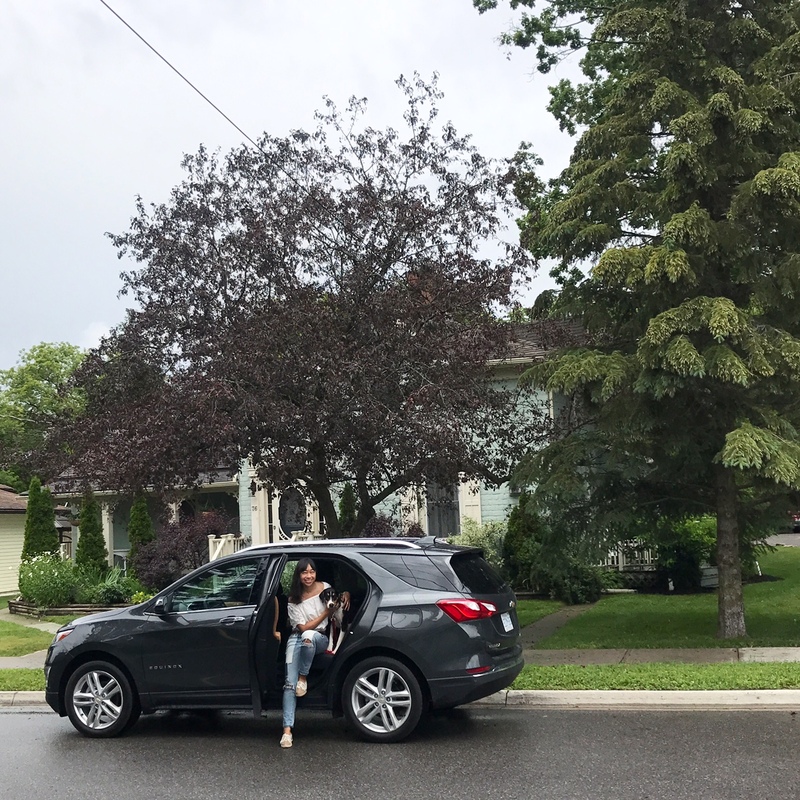 Of the cars I’ve driven in the past year or so, I think it’s the Equinox I feel most comfortable driving. I guess I’m partial to SUVs (I like the height of them) but this crossover seemed more easy to maneuver than others I’ve driven. Also, since I usually road trip with one friend along, I loved that we could each control the temp of our space in this Equinox. It’s key for us both to be comfortable when you’re on the road for a couple of hours or more. One thing I did notice: Either we toured around more than we realized (there was our last day when we had the hardest time finding a spot open for lunch, so we did roam around a lot!) as it would say it seemed the Equinox isn’t as fuel efficient as other crossovers I’ve driven recently (although it is 5.7 L/100 km hwy). I will have to pay closer attention to this from now on. 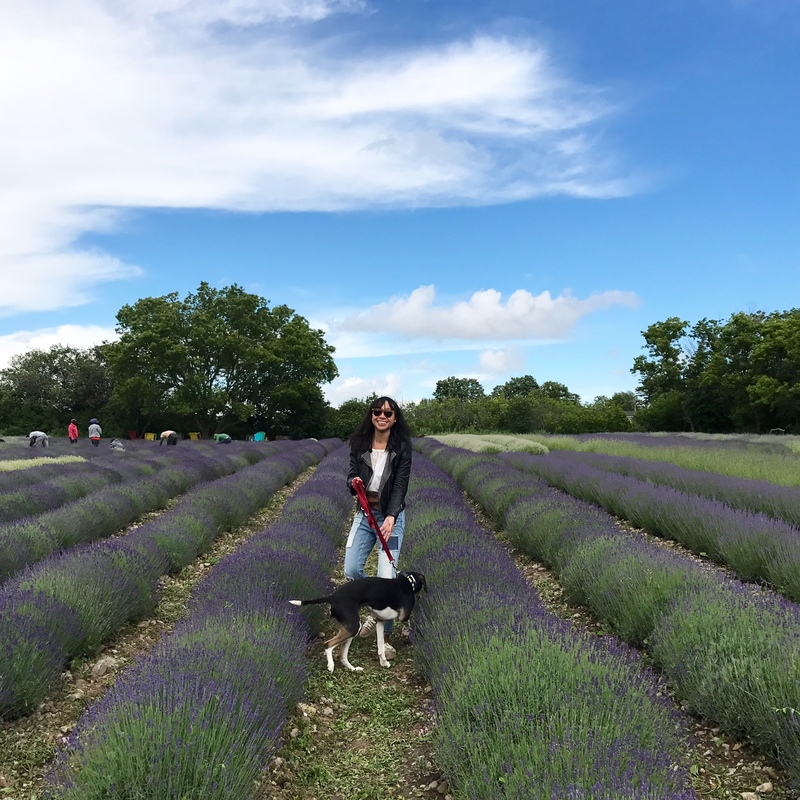 For those of you with a dog in your brood who are looking to visit Prince Edward County, here are some of the things you should add to your itinerary. 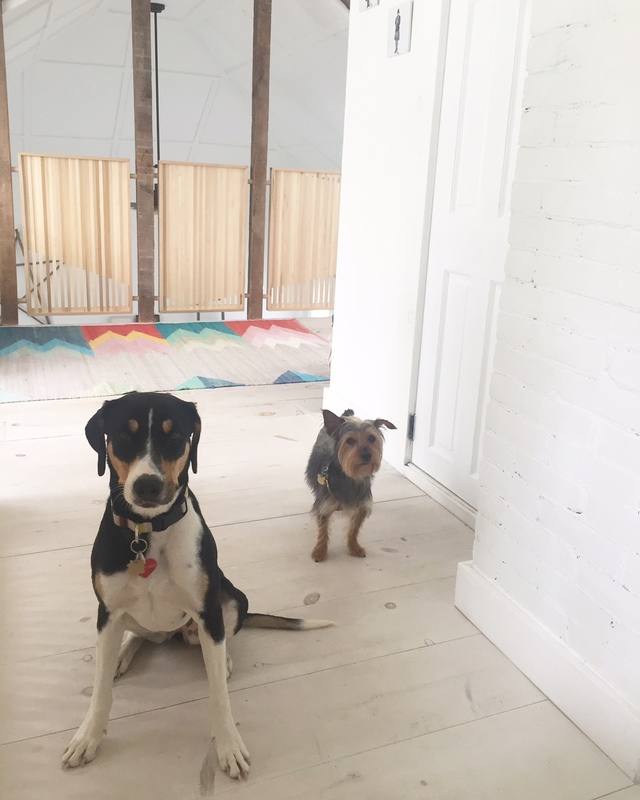 Finding accommodations that accept pets isn’t the easiest, so when I came across The Ferg and it ticked off both boxes for beautiful and cozy (and a great location!) and also allows dogs, I knew I had to visit. And coincidentally, one of the owners, Jaime, is someone whose book I copy edited some years ago! Small world. 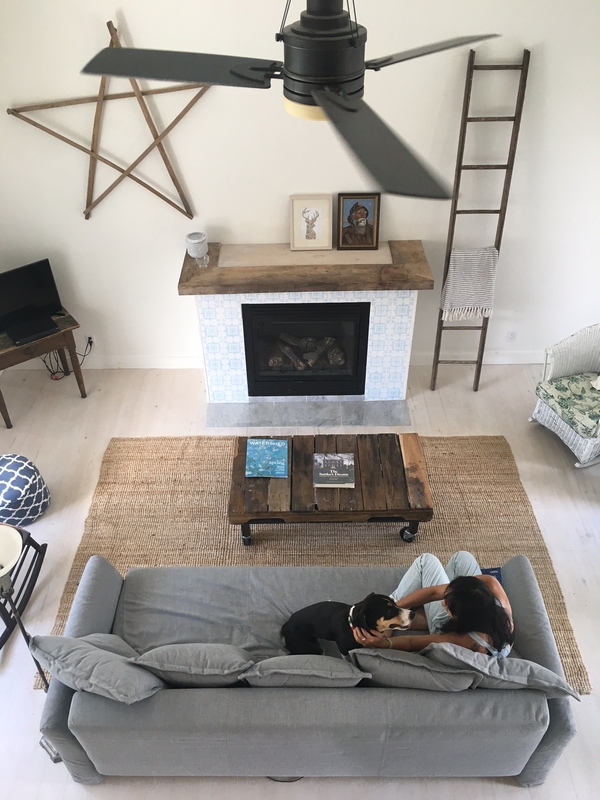 We stayed in the Loft at The Ferg and its two floors fill with natural light during the day, and it’s decorated in the prettiest cottage chic. Spacious for us with the two dogs, and just off of the main street in Picton, and most key, it’s within walking distance to my favourite ice cream shop, Slickers Ice Cream (have the Campfire!). And for late night or early morning quick jaunts outside, there’s a grassy backyard that both dogs enjoyed. 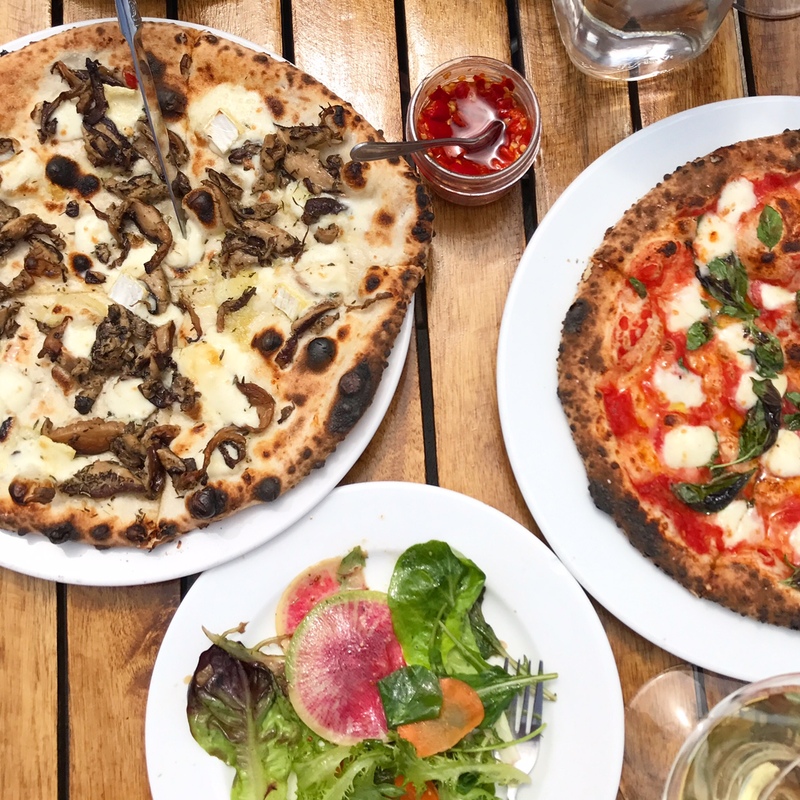 You may have to wait a little longer as they seats guests with dogs on the tables by the outside of the patio, but the wine and pizza (I’m in love with both the mushroom and the margherita) is well worth waiting for. There’s usually a special side dish you can order as well (last time it was a gorgeous asparagus with burrata cheese dish) and it’s always superbl; this visit we had the green salad that is on the menu, and it is quite possibly the best green salad I’ve had (so fresh and with a lovely vinaigrette). Norm Hardie is pretty much always my first stop in the County, as we plan to arrive there around lunch as our first stop and are usually ravenous after the two-hour drive. Introduce your canine to some adorable alpacas at Shed at Chetwyn Farms. I’m a little obsessed with interspecies friendships, and how cute would a dog and alpaca friendship be? I actually didn’t get to stop by this trip at Shed because it was closed the day we were nearby, but I do usually pop by to say what’s up to the cuties and to check out the beautiful knit goods in the shop. I was introduced to Guapo’s Cantina on my foodie tour of PEC last summer and I think we taste tested each type and they were all incredible. So you can imagine how devastated I was when we drove all the way there on our way home only to find it closed that day (we were in PEC in June, so it wasn’t high season yet, so many businesses were closed Tuesdays). It’s set up outside of Traynor Family Vineyard, so you can easily grab some tacos with your four-legged buddy along with you and grab one of the tables outside. There are two dog-friendly beaches in the Park, and we set up ourselves at what I think is the smaller one that’s not on Sandbanks Beach. There were a handful of dogs off leash and splashing about in the shallow water, which Billie Jean ventured into (she doesn’t mind getting wet, but doesn’t seem fond of swimming, so likes to have her feet on the ground). She was in heaven, as was Bun. It was my first time spending time in the Park and next time I hope to explore Sandbanks Beach more. I discovered the adorable Perfect Lil Bakeshop during my visit in early June and Billie Jean loved the dog treat I brought home for her last time. So we made a point to go again to get our dogs some treats, except they were all out! 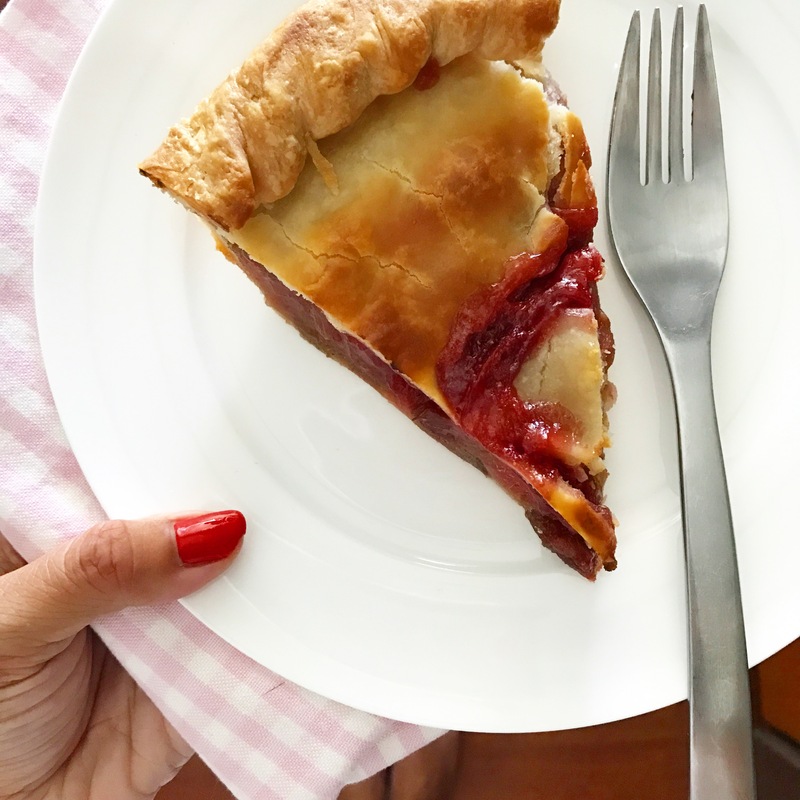 Not to worry, as we picked up plenty of treats for ourselves, including a delectable strawberry rhubarb pie to share.